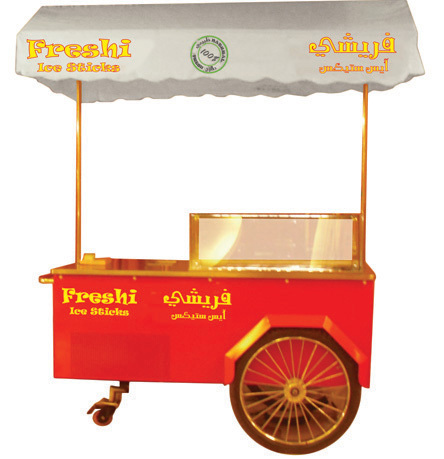 In order to offer amazing services to Ice Cream customers especially Ice Sticks customers Freshi introduced catering services. This service is offered to all kind of events (Marriages, Graduation Ceremonies, Birthday Parties..etc) The booking can be made directly or indirectly. Directly in the way that customer can contact our special department to make his booking. Alternatively customer can arrange his party indirectly via special party service providers, marriage halls and hotels. This can be achieved by adding our products in hotel specialized menus. 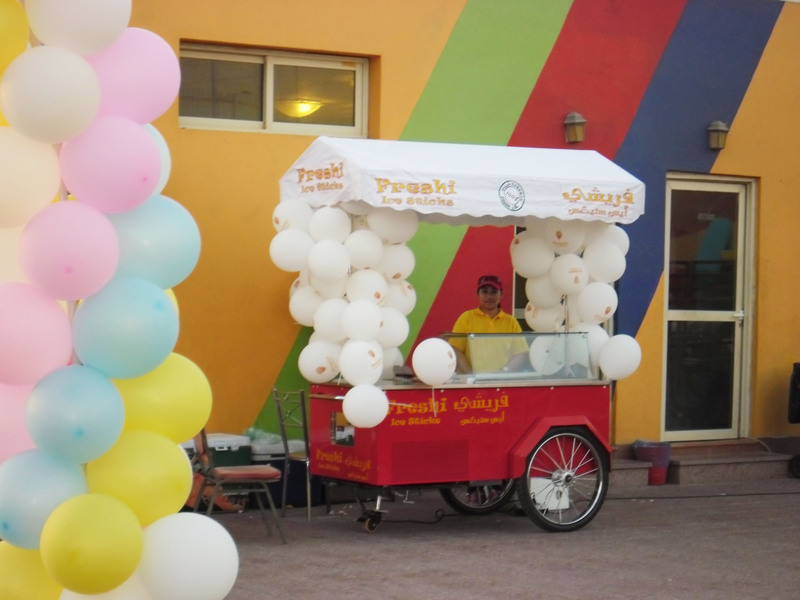 If their customers like our products we can provide them on the venue. For that purpose contracts should be made with Party Providers, marriage halls and hotels to add our products in their menus, in return they will be offered profit margins. 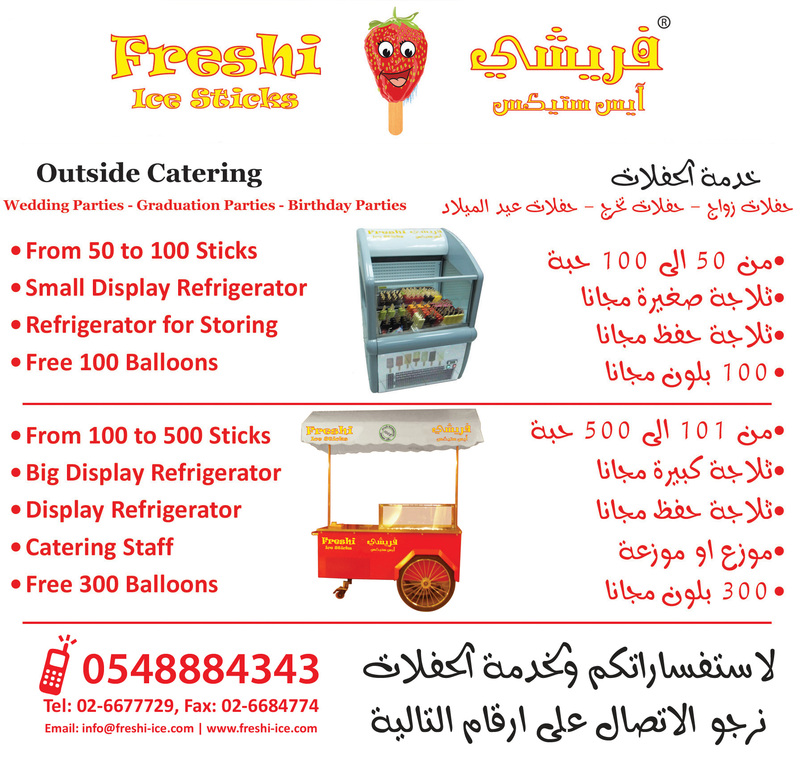 Freshi Offers outside catering service in Jeddah city, specially for Wedding Parties, Graduation Parties and Birthday parties. To make a Booking with us you may call these contact numbers. We offer amazing packages that suits your requirement. 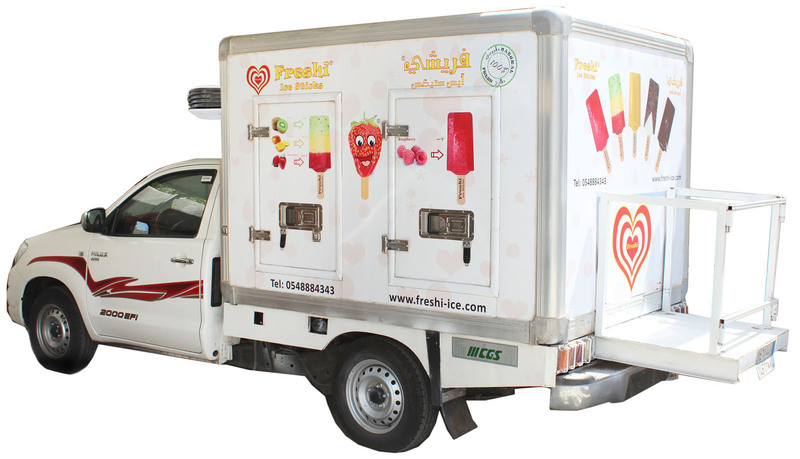 For Transportation purpose we provide a powerful vehicle with Freezer so that Ice Sticks remain frozen even while transported to the venue. The vehicle should be powerful enough to carry Freezer while loaded with Ice Sticks. 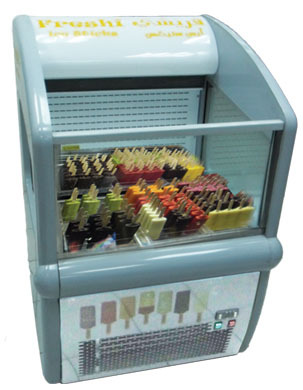 It should have a strong Electricity source to operate Freezer.